Got a good Chewie Fact? Send us your fact and it may be posted on the blog! Keep your fact free of profanity, this is a site for all ages. 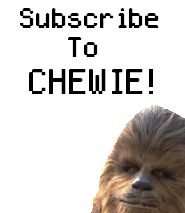 Haha, video game Chewie rules. Yeah, I was going to post about 5 facts tommorrow, because I have been busy with school and all. I’m going to update the list every weekend. Thanks for the new fact!